* Content management web pages. Alpha web design offers the most advanced web security features within all our e-commerce web designs. We use the most modern software design technology currently on the market, taking the worry away from the customer. 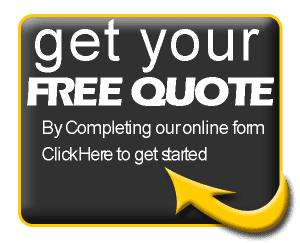 For more information, please contact us and we will gladly give you a range of websites that we have currently worked on to give you piece of mind. Alpha Design is an experienced web design company delivering new customised web projects, whilst also offering the most cost effective web site packages and solutions on the internet. We can help you put your ideas into action by designing and developing a website specific to your needs and user-friendly for your clients. Our advantage in this area is our expert knowledge in design and our development of websites which are attractive, functional and meet customer’s needs. We are using the latest technologies and latest Project management tools and methodologies (PRINCE 2 - 2017 updated version) to ensure all our projects are completed in a timely manner and with the best expected outcome. Our expertise on Search Engine Optimisation can put your new website at the forefront of all search engine lists, making you one of the first choices for any potential clients. If you are looking to re-build your website or just need to tweak the current website by introducing more a modern look, we have a team of professional designers and developers ready to meet your needs. Please click here to visit our Blog’s page: Our blog’s page/pages include information about Technology and new Technologies, Fitness, Food and other things people finding interesting. The Blog section allow us to compete in the current market with our competitors on the search engine results. As we have developed a number of different websites we need to relate our blog/blogs to the websites we have created and not only concentrate on our website. By doing this, our client’s websites also receiving a portion of the power we have on the search engines and therefore our client’s websites are successful too. As people always are saying: “Sharing is Caring” and this is one of our company’s ethos. If you need a fresh website to replace the old one, if you need a new website, if you need to improve your website’s search engine ranking results, if you need a new mobile app, new logo, software application, or any other online services including hosting and domain registration, please don’t hesitate to contact us. We are always happy to help.